Hi, I’m Libby Hakim, a writer and former lawyer, mum of two girls, and lover of homemade food. This recipe blog, Cooking with Nana Ling, is a place where I re-create, share and digitally record the wonderful recipes my great grandmother, Lydia Louisa Ling, wrote by hand in a small black notebook. It’s about a lot more than just recipes, though. So much has changed in the years since I became a mum, my life and career have changed completely. Things have sped up and slowed down. Some things have turned on their head! And it’s not just my life. I look around and the world has changed. Digital is here. Automation is here. Things just aren’t the same. I sometimes feel like I’m free falling into the future. This blog is my attempt to grab onto something from the past, to stop and slow things down. To appreciate my family history, and remember that sometimes the simple things, like home cooking, are what makes life truly wonderful. With both my daughters now in school, I’m hoping life’s balancing act gets a little easier. I want to learn new things, and create something that might last throughout the years. Social media offers a new opportunity for connection, but of course it’s not quite the same as real, shared experiences. Over the last few years, the novelty of social media has really worn off for me. I find myself needing a bigger reason or purpose to use social media. When I posted a page from Nana Ling’s recipe book, containing her Christmas pudding recipe, to my Instagram account, I had many lovely comments from family and much interest from afar. And I saw a way that I’d like to use the digital space and social media – to connect over something very real and something that has always helped people connect. Food. Real, homemade food. While my kitchen bookshelf may be lined with wonderful cookbooks from celebrated chefs and bakers, there’s something really special about recipes shared among family members and friends. Growing up in the Hunter Valley, NSW, Australia, I was surrounded by family. I was the eldest daughter in a small family of four which branched out to include many cousins, aunts, uncles and grandparents. A big family meant many parties and celebrations throughout the years. I loved these parties because they always involved plenty of fun with cousins and tables overflowing with wonderful homemade food. Another thing I loved about those big family parties was staying up well beyond my usual bedtime and listening to the telling and re-telling of family stories. My mum and her four sisters had plenty of stories to share. There were always stories of hardship (they grew up in “the bush” with no electricity) which would play on my mind long after the parties concluded. And their ghost stories still haunt me today. A regular protagonist in these tales from the past was Nana Ling, my mum’s grandmother, and Nana Ling’s mother, Granny Sharpe. Crystal balls, pet crows, gardens organised and labelled in precise rows, moonlit bush walks and spider web bandages are just some of the things that have featured in the stories I’ve heard about these two women over the years. Although I never met them, Nana Ling and Granny Sharpe were always larger than life in my mind – and are a source of much continued fascination. I often wonder what they could teach me about life today. I wonder if they’d understand my life, my feelings and my worries. By re-creating their recipes and working on this blog, by remembering the family stories that were imprinted in my mind from a young age, I can sometimes hear their whispers. During the first six months of working on this blog, those whispers grew louder. As I imagined Nana Ling’s life and remembered my own childhood, I suddenly wished for change. 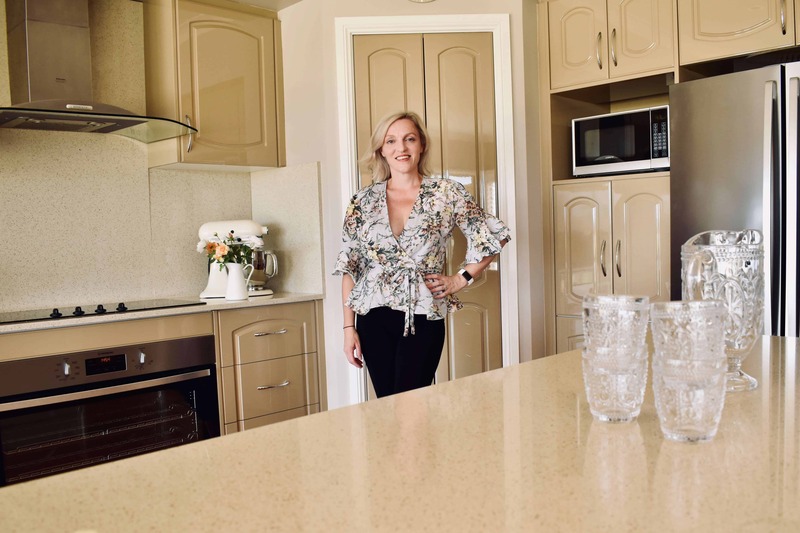 After nearly 20 years in Sydney, working for big law firms, getting married, having babies, and doing a tonne of other exciting things, I wanted to move back to the Hunter Valley. Desperately. 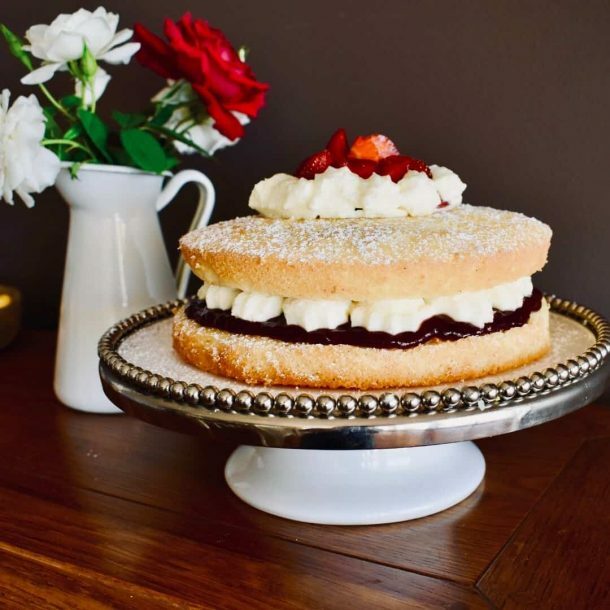 I managed to convince my Sydney-born-and-bred husband that it was a good idea and a little less than 12 months after starting the blog, I was celebrating the first recipe created in my new Hunter Valley home kitchen. Along with inspiring a major move, this blog has encouraged me to find more time to experiment in the kitchen. I’ve re-discovered the bliss that can be found in carefully measuring ingredients, following a process and watching the (mostly) wonderful results unfold – and then sharing the goodies with family and friends. I hope this story, the recipes here and the blog articles can help you create more bliss in your home kitchen. Want to join me in the kitchen? A weekly newsletter to help you find your sweet spot in the kitchen.